Attorney Ekatherine E. Kalaschnikova. Legal services in the Family, Inheritance, Housing, Civil law. International Private law. Criminal law areas. Corporate and Investment Consultancy. Russian market entree and presence consultancy, Investment planning, Buying and Selling existing businesses services, Transaction advisory, Corporate Law, Work permits, Accounting and payroll services, Visa support, Trade Mark registration, Contracts. 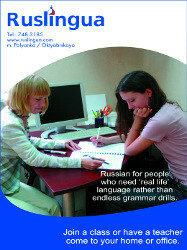 Contact: Julia Fetisova Business Development Manager. Providing legal services in following areas: corporate law, tax law, migration law, corporate securities, property law, intellectual property, customs law, enviromental law, appraisial, accounting, audit.